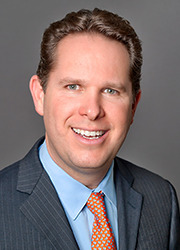 David Sudeck is a senior member of JMBM's Global Hospitality Group® and JMBM's real estate department. His practice primarily involves the complex issues associated with hotels, resorts, vacation ownership properties (including shared ownership, destination clubs, timeshares, fractionals and private residence clubs), restaurants (including chef consulting agreements), golf courses and spas. A seasoned real estate attorney, David has extensive legal experience involving all types of residential and commercial properties. He represents owners – including hospitality clients – in the purchase and sale, development, construction, financing, leasing, and sale-leaseback of properties, and advises them on their operations and management agreements, including hotel management agreements. David has significant experience in real estate finance and represents several financial institutions as special counsel relating to their hospitality interests. He also advises developers in the use of EB-5 financing as part of the capital stack for new development. Additionally, David has expertise in the Americans With Disabilities Act (ADA) and counsels real estate owners, tenants and management companies with respect to ADA compliance, policies and procedures. David has a pragmatic approach to practicing law, and he adds value through his business experience and legal expertise, his finance, entitlement and development knowledge, and his extensive relationships with investors, lenders, brokers, developers, and service providers.